Smartwatches may not have rocketed to ubiquity the same way smartphones did, but they are still selling and there’s an ever-growing range of devices out there. 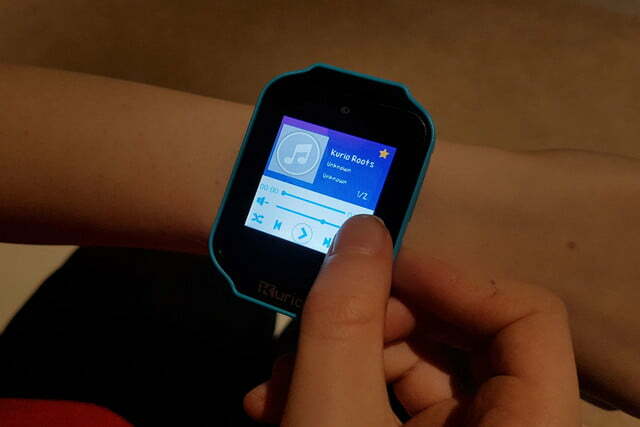 The Kurio Watch from KD Interactive is aimed squarely at kids. It packs in a laundry list of features including a camera, a range of apps and games, messaging, and support for calls when paired with a phone via Bluetooth. That’s all wrapped up in a brightly colored package for $60. So, is it worth buying one for your little cherub? Let’s take a closer look. 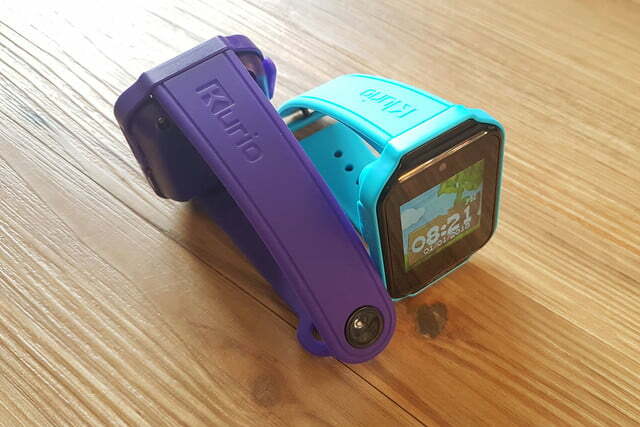 Colorful plastic is the hallmark of kid’s tech and the Kurio Watch comes in blue, purple, or pink. The comfortable silicone strap has a stud closure and it fit our four and seven-year-old testers just fine, though they needed help putting it on. The face of the watch is massive and there’s a square, 1.54-inch touchscreen set into the middle of it. With a resolution of 240 x 240 pixels, it’s not the sharpest display we’ve ever seen, but there were no complaints from the kids. On the right side, you’ll find the power button and a flimsy flap that opens to reveal a MicroSD card slot, so that you can expand the meagre 256MB storage. On the left, there’s another flimsy flap concealing the Micro USB port for recharging the Kurio Watch. It’s a basic smartwatch, but KD Interactive has packed in quite a lot for your $60. There’s a camera above the screen, a speaker, a microphone, a vibration motor, and a motion sensor. All smartwatches face the challenge of presenting a usable interface in such a small space and the Kurio Watch is certainly no exception. All the main functions and options are laid out in a grid of icons. Swiping around is fairly easy most of the time, and you can always go a step back by swiping in from the left, but our testers were frequently frustrated by tiny option buttons and a slight lag on the navigation. Even trying to navigate around as an adult proved trickier than it should be. 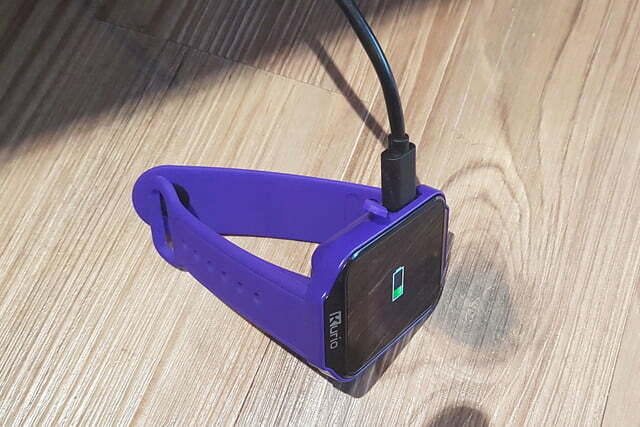 This is Kurio’s own software design and while it’s good that the watch works as a standalone device without the need for a smartphone, it’s slow and awkward to use. Thankfully, there’s a good selection of themes, so that you can customize the watch face and the clock. The first feature that both our kids wanted to try out was the camera. A wrist-worn spy camera is a seven-year-old boy’s dream, but he soon discovered that taking anything other than a selfie from your wrist is actually quite difficult. There are some overlays for the selfies, to add silly hats or animal faces, which both kids enjoyed. It’s a basic smartwatch, but KD Interactive has packed in quite a lot for your $60. Sadly, the camera is poor quality. It’s rated at 0.3 megapixels, but all the photos it takes are grainy. In low light, there’s just noise, and in well-lit environments, subjects tend to white out. It can capture video, too, but the quality is deplorable. There are a handful of other features and apps on the Kurio Watch including a music player, messaging, an art app, fitness tracker, translator, alarm, calendar, calculator, contacts, and reminders. You can also fill out In Case of Emergency (I.C.E.) information. They’re all straightforward. The translator is a nice idea, offering words like hello in various languages and speaking them out loud. The kids also liked the music player, though the speaker is inevitably seriously tinny. Games are the main attraction, but the choice is limited to Snake, Tic-Tac-Toe, Ninja Roll, Pirates Battle, and Sport Challenge. The quality is very poor. Tic-Tac-Toe was our four-year-old’s favorite, but the seven-year-old quickly tried each game and dismissed as them all as “rubbish.” Up against a console, or even a tablet or smartphone, kids are not going to choose to play on the Kurio Watch, but if they’re out and about with nothing else to hand, then it might fill a few minutes. We’re concerned about the lack of additional content here. There’s no option to download more apps or games, so longevity is going to be limited. One of the best features of the Kurio Watch is the Bluetooth 3.0 support. It can be paired with an Android phone, so you can make calls or send messages. That’s great if you’re willing to let your child make calls or send messages on your phone, but we don’t think many parents will be. It makes more sense for older kids with a phone of their own. There’s more fun to be had if you have more than one Kurio Watch, because they can also send messages to other Kurio Watches that are in range, which is great fun for siblings. The messaging app supports voice, text, photos, emojis, and drawings. Our testers had a mirth-filled evening sending strange emojis, weird sketches, and comical voice messages back and forth. There’s also a two-player mode for Tic-Tac-Toe and Pirates Battle, which makes the games much more fun. The Kurio Watch has a 400mAh battery in it, but it doesn’t seem to last terribly long. Playing games and using the camera seems to eat through it at an alarming rate and our testers frequently picked it up to find that it had run out of juice. A couple of hours of messaging back and forth was enough to completely drain one of the watches. They probably averaged two or three days of light use before needing a recharge, but if continuously used for a couple of hours, the battery died quickly. Thankfully, they do charge up in a couple of hours and they seem to be fine with any USB to Micro USB cable and charger you have lying around. You do get a cable in the box with your Kurio Watch, but no charger. The user manual warns against using the Kurio Watch while it’s charging. The Kurio Watch comes with a 1 year limited warranty. It only covers defective workmanship or materials, so there’s no cover for accidental damage. It’s also not waterproof, so watch out for liquid damage. That’s a big downside for a device that’s aimed at kids. 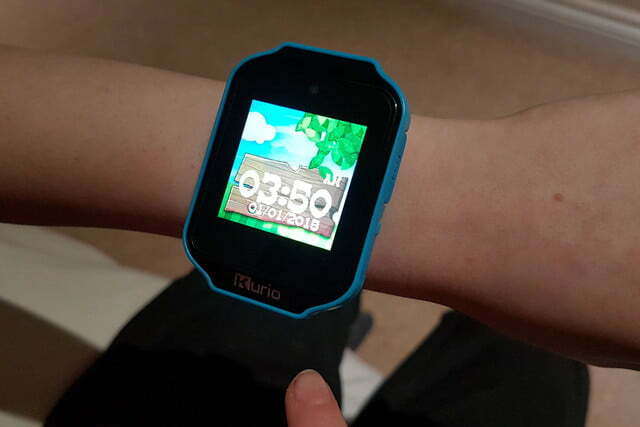 Smartwatches are definitely niche, and the Kurio isn’t a must-have, but it’s a decent smartwatch option for kids. However, it could be much better. If your child doesn’t already have a tablet, we’d recommend buying an Amazon Fire instead of a Kurio Watch. It’s cheaper and it will offer a much wider entertainment experience that’s expandable. 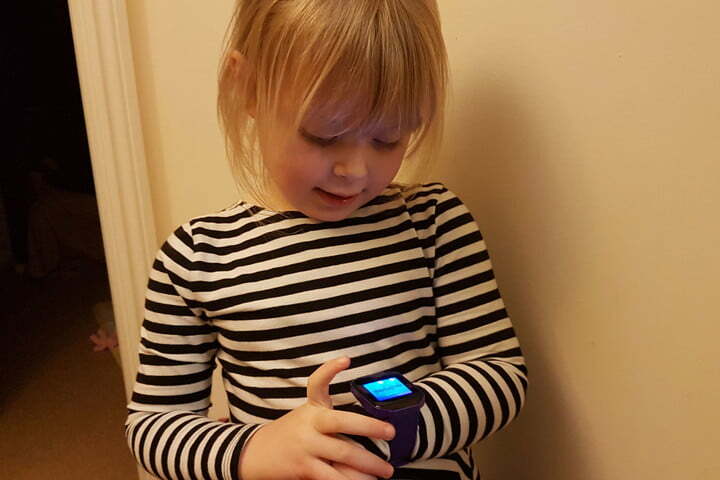 There isn’t a great deal of choice for kids’ smartwatches. 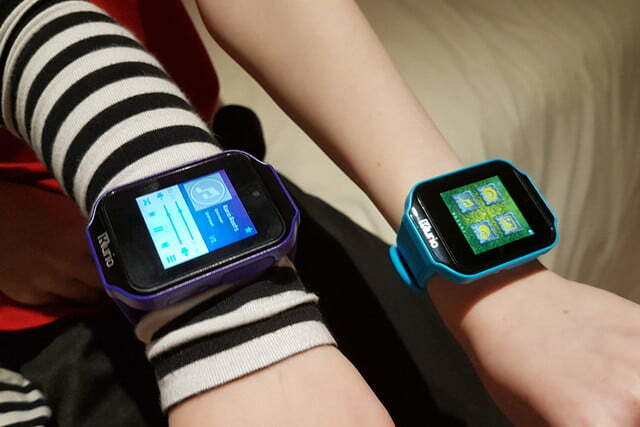 You might consider the VTech Kidizoom Smartwatch DX, it’s pretty similar to the Kurio Watch, but the design is a bit nicer. It also has more games and watch faces out of the box and offers the option to download even more. For younger kids, there’s the LeapFrog LeapBand, which is a lot more limited, but also much cheaper. 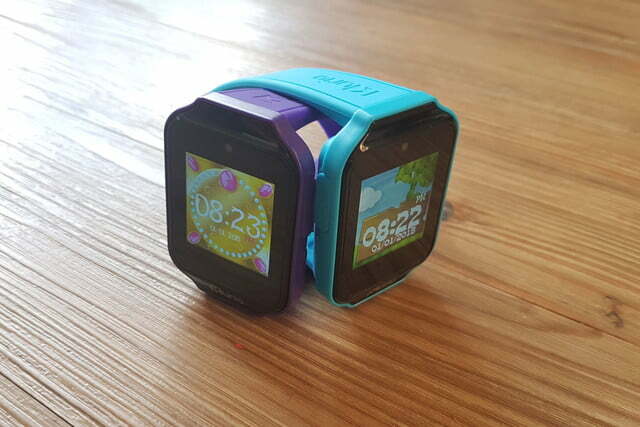 The Kurio Watch seems to be the only kids’ smartwatch that can actually hook up to an Android phone for calls and messages. We have some concerns about longevity with the Kurio Watch. The fact that you can’t download more apps or games is a real disappointment. Kids will get bored of what’s available pretty quickly, and we wouldn’t be surprised to find this languishing in a drawer after a month or so. If you have two kids and they’re using the Kurio Watches to message each other, then we can see them being used for a long time to come; it’s by far the best feature. It depends, but probably not. 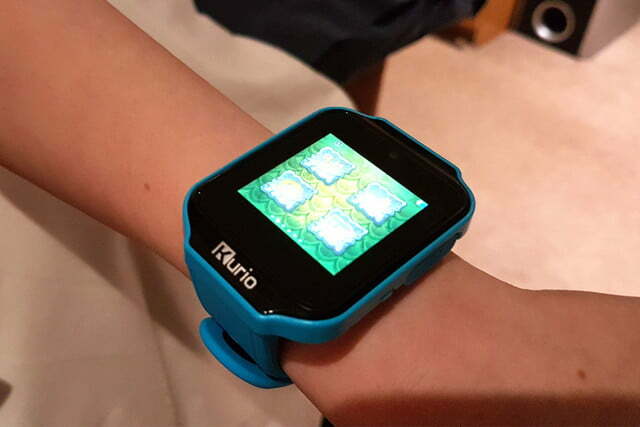 KD Interactive recommends the Kurio Watch for ages six and up, but we disagree. Our four-year-old played with it far more than our seven-year-old, and we think kids older than ten are going to be unimpressed. Any kid between the ages of four and eight who has been hankering for a smartwatch will get a kick out of this, at least for a while. As a gift for two siblings, the Kurio Watch is great, and definitely worth considering. For older kids, or as a first tech gift, we’d recommend looking at something else.